Singapore Bonus Scam Circulating In Singapore: Beware! "Sign up for your bonus! Just give us your bank account details..."
The end of the year is nearly upon us, and for many Singaporeans this is a highly anticipated time. Because S$700 million in bonuses will be handed out to employees by year-end. However, according to Channel News Asia that there is a Singapore bonus scam by way of texts, emails or calls. The Ministry of Finance yesterday posted a warning on Facebook that Singaporeans registered with Singpass would receive SMS messages about their end of year bonus. Many members of the public have already clocked on to the suspicious nature of these messages and posted screenshots of these online. Karen Wong posted an image on her Facebook an even more audacious attempt to phish for people’s credentials. What gives it away is the numerous spelling mistakes and the URL ending in “.com”, rather than the official “.gov.sg” suffix that follows all official government verified sites. How do you tell real notifications from phishing texts like the Singapore bonus scam? The Ministry of Finance Singapore has given guidance on how to differentiate between real and fake texts asking people to sign up or view more details. This year, a total of 2.8 million Singaporeans would have begun receiving letters from Oct 2 onwards, informing them of their SG Bonus benefit. The roughly S$700 million in bonuses will be paid out to citizens by December. So don’t fall for this Singapore bonus scam! 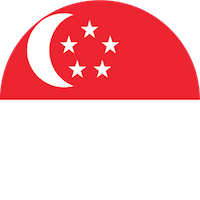 Are you in Singapore, or have any friends working in Singapore? Share the article with them to avoid getting scammed by the Singapore bonus scam!